The best financial advisors are well equipped to succeed regardless of market conditions. Based on interviews with fifteen top advisors, each doing several million dollars worth of business every year, The Million-Dollar Financial Advisor distills their universal success principles into thirteen distinct lessons. Each is explained step-by step for immediate application by veteran and new financial professionals alike. The lessons cover: * Building and focusing on client relationships * Having a top advisor mindset * Developing a long-term approach * Specialization * Marketing * And much more The book also features two complete case studies. First there is the “best of the best” advisor whose incredible success showcases the power of all the book’s principles working together in concert. The second is an account of a remarkable and inspiring career turn around and demonstrates that it’s never too late to reinvent oneself. 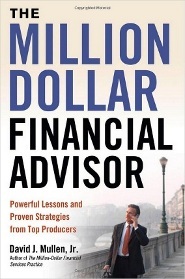 Brimming with practical advice from the author and expert insights from his interview subjects, The Million-Dollar Financial Advisor is a priceless success tool for any and all financial advisors. The second edition is updated throughout and contains new strategies for acquiring affluent clients and assets by providing Wealth Management services, using social media and “Alumni Marketing,” targeting successful realtors as clients, and much more. Using the method he has taught at Merrill Lynch and is famous for in the industry, author David J. Mullen, Jr. shows how anyone – no matter where they are in their career – can get the appointment, convert prospects to clients, build relationships, retain clients, use niche marketing successfully, and increase the products and services each client uses. 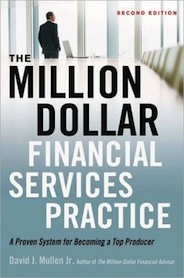 Packed with templates, scripts, letters, and tried-and-true Market Action Plans, the book provides readers with the tools and guidance they need to take their financial services practice to the million-dollar level and beyond. When exacting clients, high expectations, and the need to grow define your job, you need to be at the top of your game. That’s why more and more financial advisors are pooling resources to meet demand and joining teams in the process. By implementing effective team-building strategies and building a highly functioning team, you’ll gain more affluent clients—and serve them better—than you ever would alone.